On paper, AO International Tennis has all of the makings to be a solid tennis game. 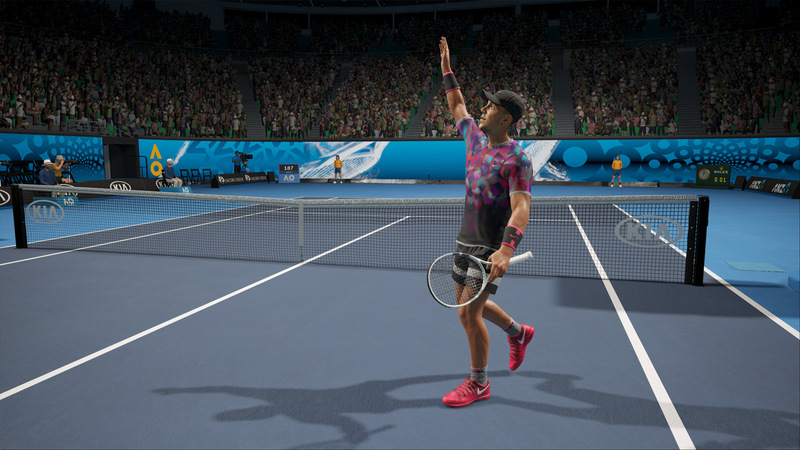 It has the official Australian Open license (so, yeah, AO doesn’t stand for the ESRB “Adults Only” rating here, darn), incredibly robust player and stadium creation tools, plenty of modes, and a unique control scheme that seems like it will give you all the tools you need to make any shot you want. Then you try to actually play it and it turns out it isn’t any fun at all. The A.I. 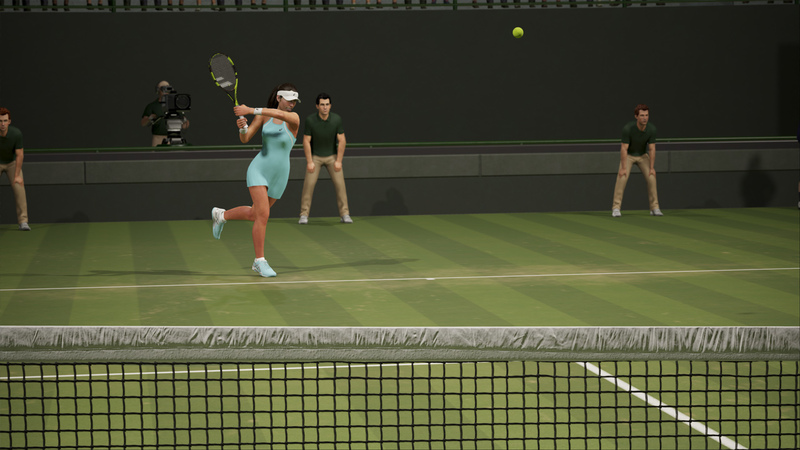 is mediocre at best and the controls are awkward and, even worse, the game automatically moves your player around and the drop shot is totally broken and overpowered to the point it is basically an instant win button. AO International Tennis is just not a good tennis game. Continue reading for all of the details. AO International Tennis features the official Australian Open tournament license and … not much else as far as real events go. This isn’t a huge problem, but it just seems weird to have one big flashy thing to hang your hat on and nothing else. The player roster is similarly out of wack as it has the great Rafael Nadal in all his glory with a bunch of relative nobodies (sorry, I don’t follow tennis much) rounding out the rest of the real players. Again, I don’t mind the lack of recognizable names, but its weird to essentially focus the licensing on one major star and one tournament (and not even the one Nadal is most associated with, which is the French Open). Making up for the lackluster roster is one of the most impressively robust player creation tools we’ve seen in a long, long time. The amount of options you have to tweak every aspect of your player’s appearance is pretty incredible. The created characters look just as good as the pre-made characters, too, so they don’t have that “obviously a created character” look like so many games end up with. With some time and patience you can fill out the roster with pretty stunning created versions of real players, which is cool. The game even has the names of a lot of top players not in the game built into the voice work for stadium announcers. The stadium creation tool is similarly robust, too, if you want to recreate your favorite real world tournaments. AO International Tennis is fully-featured when it comes to modes. Exhibition matches, training, local and online multiplayer, and an interesting career mode where stamina plays a major role and actually takes getting tired from traveling to events into account. 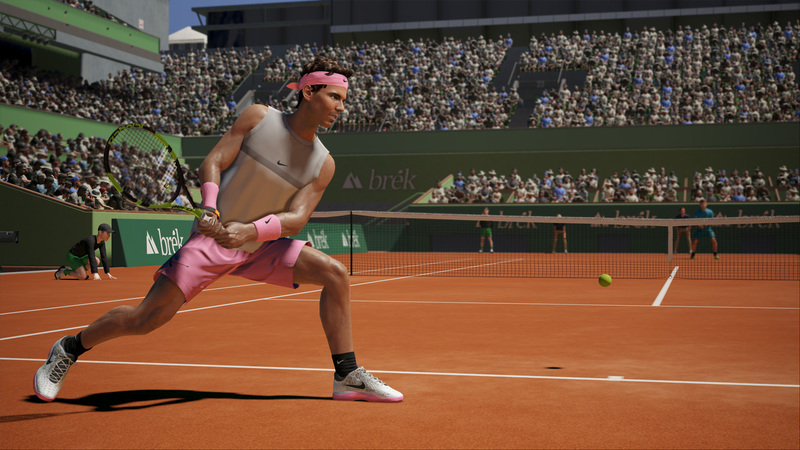 All of the modes and features and neat creation tools in the world can’t make a bad playing game good, however, and that is ultimately the problem with AO International Tennis. First, the OK parts. The control scheme is fairly standard with the face buttons representing different shot types with additional shots – like the drop shot – available by holding a modifier button. 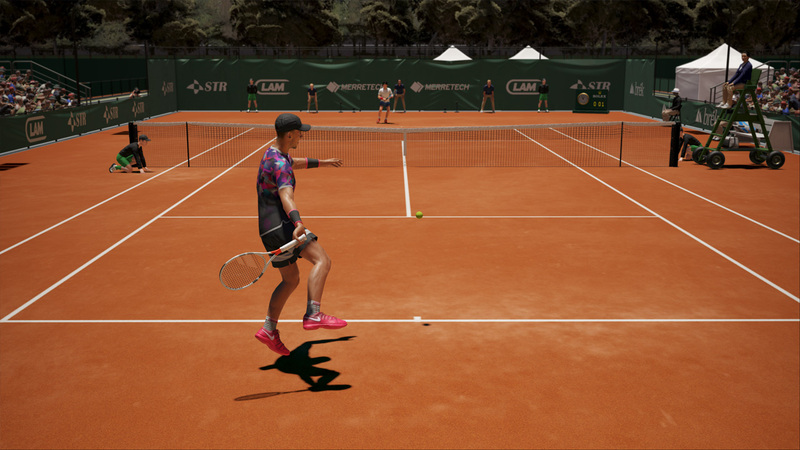 You swing your racquet by holding a shot button and releasing it with the proper power (indicated onscreen). If you hold it too long, however, your shot may not go where you want it. There is also a little cursor onscreen that shows you roughly where your shot is going to land, which is pretty cool since you can actually aim your shots and be pretty precise with how you play. That all sounds good, but when you’re actually playing it kind of falls apart for a number of reasons, the most egregious of which is the fact that the game moves your player around for you. You do have movement control, albeit pretty sluggish and slow, but when you press a button to start a swing the game automatically moves you into what it considers the “proper” position. What this means is that even if you want to dive or reach or switch to forehand or backhand to position yourself better for the next shot, you can’t unless the game decides that is the way it is going to move you. It feels awful. It’s like playing Mario Kart with the handling assist on. The gameplay also has a massive, massive flaw and that is the fact that the A.I. is terrible and hitting drop shots is pretty much an instant win. The A.I. is completely unprepared to charge the net to counter a drop shot so you can just hit drop shots all day and win. Playing real human opponents presents the same problem but with the added issue of not being able to retreat into the backcourt fast enough to counter a lob when you just had to crash the net to return a drop shot. What it boils down to is that playing the A.I. is boring and playing real humans is frustrating and boring. Not fun. AO International Tennis also doesn’t have particularly good presentation, either. The player models do look pretty good, but the animation is really stilted and not smooth and every player moves and plays pretty much the same. The Australian Open’s Rod Laver Arena looks good and is meticulously detailed, but most of the other arenas are pretty bland and generic. The game’s menus are also simple and generic and have ridiculously small text. In the end, AO International Tennis just isn’t a very good tennis game. It’s playable and not totally horrible or anything and you can get used to its quirks, but it isn’t really any fun to play either against the A.I. or real multiplayer opponents due to movement restrictions, drop shot cheesing, and other things. 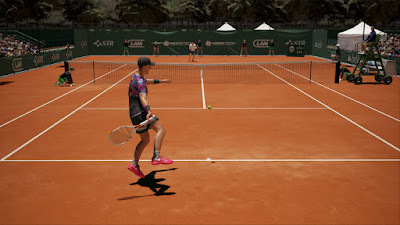 I know it has been a while since we’ve had a new tennis game on consoles, but AO International Tennis isn’t worth your time even if you’re desperate. Skip it.